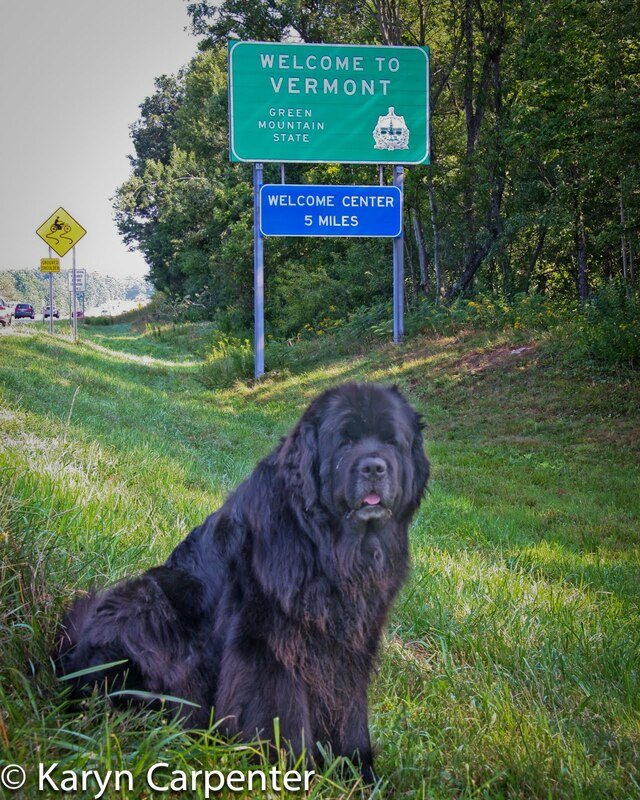 We stopped beside the freeway to photograph Arayo next to the "Welcome to Vermont" sign. I led her into a ditch, tied her to a road-sign just off the edge of the frame, and photographed Arayo as we entered our most recent state. Then, I looked across the freeway and saw a "Welcome to Massachusetts" sign. As the one we passed when we entered the state was so inconveniently located, I had missed photographing Arayo there and I figured this was my chance! They had graciously left an "official cars only" turn around space in the median, so off we went. Again, I tied Arayo so nothing would spook her and cause her to dash in front of an 18-wheeler. I kept my mouth shut - let me rephrase that. I controlled myself and responded "oh!" Not 50 feet into a new state and already I'm breaking laws - what a couple troublemakers! Photo: Busted or not, Arayo poses next to the Vermont Welcome sign. Vermont - so far they have the BEST rest stops - complete with free WiFi! Watch out for the black flies. They are even less welcoming than the "law". We were just wondering where you were. Donna asked me today so I will let her know. free shower, wifi and food await with dog door, fenced yard, cool nights and mostly sunny days for a weary traveler and lovely Newfdog in southeastern MA. come spend a couple of days. You deserve a real bed, some glasses of wine, and a shower with a tub a dog can fit into! If Arayo is leaky, I will just take up the rugs on the main floor of the house-- no sweat.